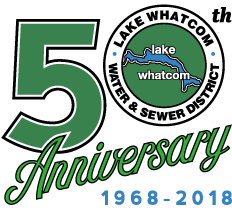 Lake Whatcom Water and Sewer District strives to assure all side sewer construction, connection, installation, repair, reconstruction, and excavation work is done in a safe and quality manner. Any work done on side sewers (the lines between your house and the sewer main) must be done by a Bonded Side Sewer Contractor. Below is the current list of certified Sewer Services Contractors for Lake Whatcom Water & Sewer District. To see samples of the above documents and a completed application, click below.